Springfield - Located In A Fantastic School District. Currently Leased. Good Investor Opportunity. MLS#6509905. Global Realty & Associates Llc. Coldridge Forest - Master With En Suite, Updated Hall Bath And Large Basement For Storage Or That Game Room! Affordable Alpharetta Is Here! MLS#8531609. Duffy Realty. Haynes Park - Storage In 2 Car Garage Just Off The Kitchen. MLS#6509426. Coldwell Banker Residential Brokerage. Beautiful Backyard With Potential. Custom Kitchen Wood Flooring. MLS#8530243. Virtual Properties Realty.Com. White Painted Brick/Siding Exteriors W/Cedar Accents. Home Due Summer '19 MLS#6508173. The Providence Group Realty, Llc..
All Appliances Are Stainless Steel, Hardwoods Throughout, Granite Countertops 12X24 Tile In All Baths, And Much More To See! MLS#6508269. Re/Max Tru. Part Of Windward Park Master Planned Community. 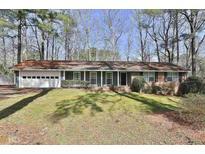 MLS#6507840. Re/Max Tru. Must See To Appreciate Too Much To List! MLS#6507812. Re/Max Tru. Springfield - Located In A Fantastic School District. Currently Leased. Great Investor Opportunity. MLS#6507234. Mega Agent Rental Management Georgia, Llc.. 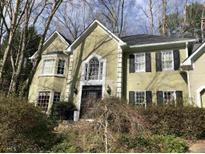 Private Wooded Backyard, Screened In Porch, Large Master (King Bed Fits), Large Family Room, And Large Kitchen. MLS#6506929. Assist2 Sell Buyers & Sellers Realty. Gracious Front Porches And Premium Finishes & Fixtures Including Wolf Professional Series Range, Hardwood Flooring Throughout Home, Custom Cabinetry, Super Luxe Finishes. This Is Top Floor. MLS#6505566. Compass. Gracious Front Porches And Premium Finishes & Fixtures Including Wolf Professional Series Range, Hardwood Flooring Throughout Home, Custom Cabinetry, Super Luxe Finishes. MLS#6505563. Compass. Gracious Front Porches And Premium Finishes & Fixtures Including Wolf Professional Series Range, Hardwood Flooring Throughout Home, Custom Cabinetry, Super Luxe Finishes. MLS#6505545. Compass. 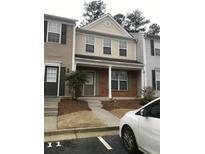 Providence Place - All Within Walking Distance To Downtown Alpharetta! MLS#8526251. Keller Williams Rlty.North Atl. Caravelle Is Surrounded By The New Windward Park. Great Schools And Great Location! MLS#6505528. Re/Max Tru. Ready In May. Beautiful Community, Alpharetta Schools. MLS#6505603. Re/Max Tru. Caravelle Is A Master Planned Community. (Ready In May) MLS#6505617. Re/Max Tru. White Painted Brick/Siding Exteriors W/Cedar Accents. Home Due Summer '19 MLS#6505035. The Providence Group Realty, Llc..
Providence Oaks - This Home Sits On The Far Corner Of A Circle And Cul-De-Sac Where Kids Can Play Safely Without The Worry Of High Traffic. MLS#8525505. Listwithfreedom.Com Inc.
Rivermont - Don'T Miss Out This One Is Amazing. MLS#6503346. Compass. Large Master Suite W/ Walk In Custom Closet And An Enormous Walk In Shower With 3 Shower Heads. All Closets Are Custom Finished. MLS#6502217. Re/Max Around Atlanta Realty. Rest Of The Community Will Be Complete Summer 2019. MLS#6128773. Solid Source Realty, Inc..
Creekside At Kimball Bridge - Nest Thermostat, Keyless Entry & Garage Wall Organizer Stay! MLS#6127642. Maximum One Greater Atlanta Realtors. This Is A Must See Community. Only 6 Remain! MLS#6125725. Berkshire Hathaway Homeservices Georgia Properties.